A board member at BMJ, Welber Barral focuses on issues related to International trade and foreign investiment. 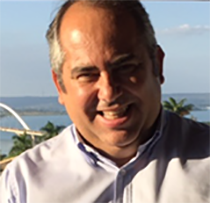 He has more than thirty years of experience as consultant to multilateral agencies and companies investing in Latin America. Currently, he is also a Director of International Trade at FIESP, and advisor to the American Chamber Brazil (Amcham). Previouly, he served as a judge at the Mercosur Revision Court, and arbitrator at the World Trade Organization (WTO); he was also visiting professor to many universities in Brazil and abroad. MSc International Relations (UFSC), PhD International Law (USP), and Visiting Fellow, International Trade Law (Georgetown University).